I don’t often reach for the sauerkraut but it turned out to be an easy way to make a barbequed pork chop into something more than ordinary. While you’re waiting for your grill to heat up sauté a chopped onion and a teaspoon of caraway seeds in a bit of oil for about five minutes or until the onion starts to brown. 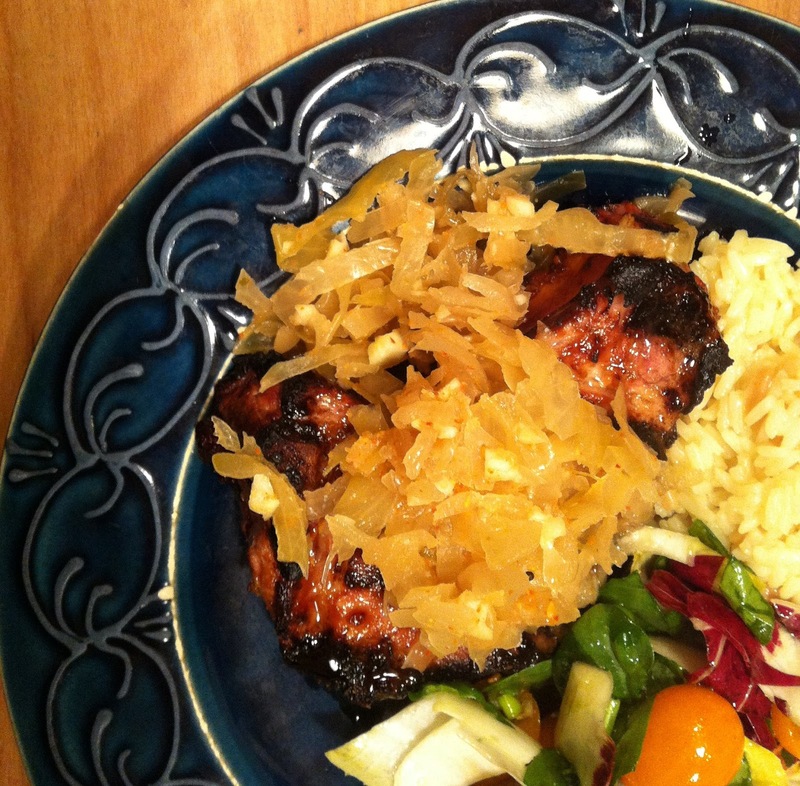 Add a couple cups of drained sauerkraut and ¾ of a cup of apple cider, cover, and simmer while you barbeque the pork chops. By the time you’re through grilling the sauerkraut mixture will be ready to go, simply top and serve.